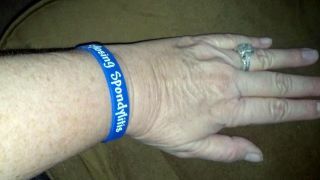 My name is Diana Duncan, and I am a face of Ankylosing Spondylitis. I was diagnosed with AS at the age of 40, although I was having symptoms for at least 15 years prior. My pain began in my hips when I was about 20 years old, but came and went so I did not think much of it. When I hit my thirties it came back, again I was not overly concerned. Then when I was 39 I had the flu, then pneumonia, and could not get well. Then the pain became non stop. One Dr after another blew me off saying I was fine. I knew better. I took myself to a rheumatologist and he ran so many tests. I was so shocked at the diagnosis that I sought out 3 more opinions. The last Dr. was at Emory University in Atlanta, and he said yes you have it, and you need to buy disability insurance, you will be in a wheelchair by the time you are 50. Well, I am 53 now, and still have managed to avoid the wheelchair! I am on disability however, entering into year 3 of it. Most days I am stiff for about 75% of the day. I try to move, to stretch. It is not easy. There are so many pains in so many different places. Every day is different. Along with AS I have Crohns, torticollis, asthma, and chronic iritis. I wish I could tell you how I deal with these diseases, but it is truly one day at a time. I take a cockail of medications as do others. Like most, the effectiveness wears off and we try a new one. The costs are unreal, and have nearly taken all of my savings. This disease of AS, for me, is tied to my emotional well being as well. I was in remission for several years after diagnosis. The humira and then the enbrel seemed to do the trick. Then is 2003 my 17 year old son was killed in a car accident, and in 2005 I was divorced. Those 2 events sent my AS into a spiral. Now my days revolve around meds, pain, more meds and just trying to remain somewhat normal. Of course, normal has changed drastically! I have had 5 surgeries related to my AS, and multiple procedures due to the crohns and iritis. The torticollis is related to my cervical fusions and requires botox injections every 3 months. Fun times! I will never give up on myself. For me I try to remind myself that it could always be worse. There is always someone who has it worse. Losing a child taught me how precious life really is. I refuse to give in! Thank you so much for sharing your story with us. I have no words to share with you, only admiration and respect. I wish I could say something that would help you with the pain that you carry, but I haven’t walked in your shoes. I agree, we should never give in and life is precious. Live life to the best of your ability and appreciate every second you are blessed with it. 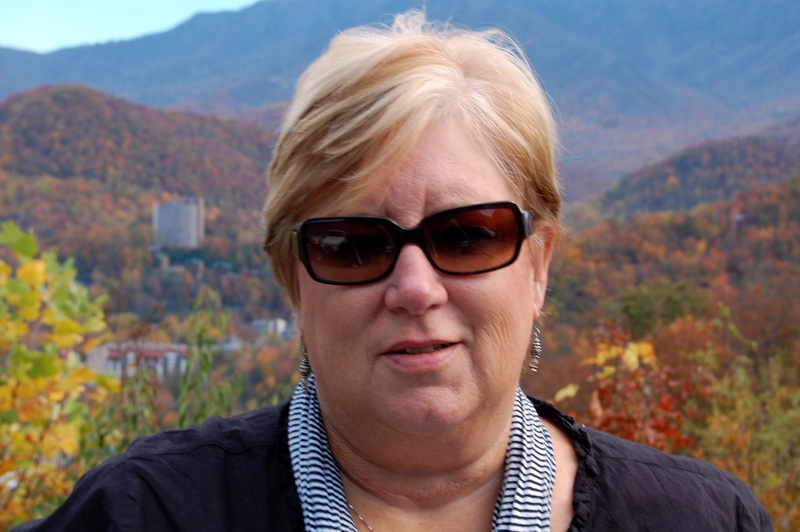 Hi Diana: Thanks for sharing your story. I was so sorry to hear about the struggles you have had, and especially the loss of your son. I wish you the very best in dealing with your A.S., and may God bless you and keep you. Diana, my heart cries when I hear your story. I am so sorry about your son and how this affects marriage. I have only been married three years, but we were already struggling because of a new marriage. I am thankful for the things he does do..,… Every day as you said is a new day.